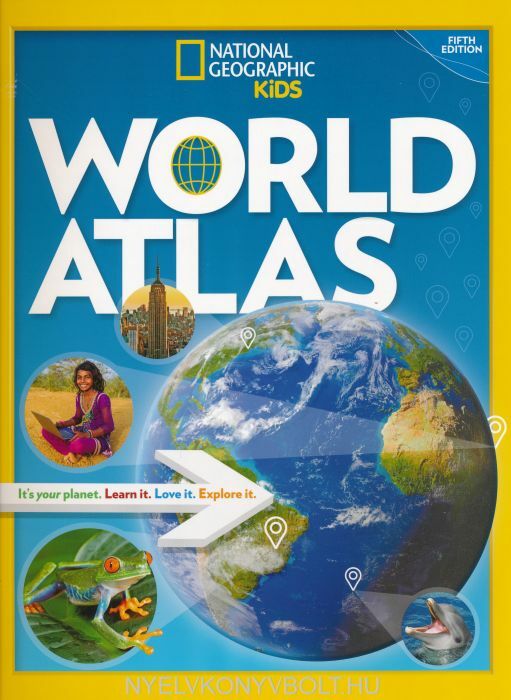 The world has changed and this new atlas from the map experts at National Geographic captures the state of the planet with completely updated maps, stats, and fun facts--the perfect hardcover reference for curious kids and students. Learn all about the people, places, trends, and developments of our world in the fifth edition of this acclaimed atlas. It's got a fresh, kid-friendly design and all the latest, greatest geographic and political information that make this such a valuable resource. 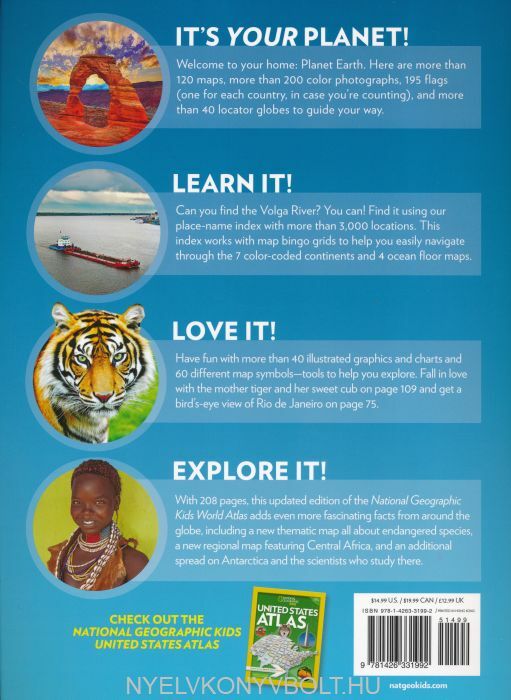 New features include a thematic map on endangered species, a map about the region of Central Africa, and an expanded Antarctica section that introduces kids to the important research that is happening there. It's the perfect reference for kids to learn about lands close to home or oceans away--ideal for classroom use, homework help, and armchair exploration.